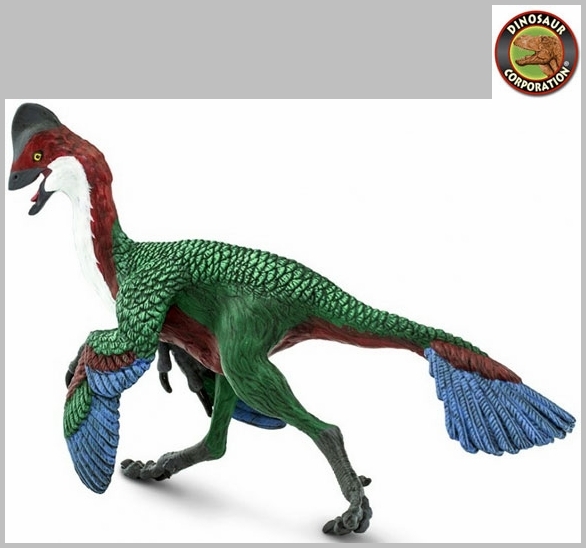 Anzu Wyliei toy is museum quality dinosaur replica, hand painted and finely detailed dinosaur model, authenticated by the paleontologists of Museum of Natural History. 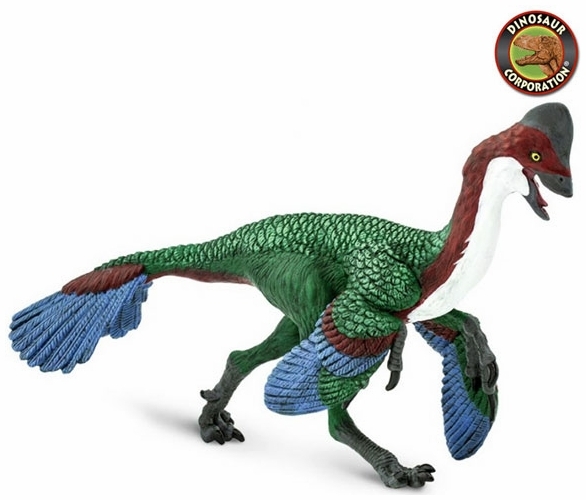 Anzu Wyliei toy is a great collectible dinosaur figure for kids and serious collectors. * Size and Color: Anzu figure measures 5 1/4 inches long and 3 � inches high (13 cm x 8 cm). Its feathers are painted in rich detail, featuring deep reds, forest greens, slate blues and bright whites. The exposed skin areas are painted in dark grey. Anzu wyliei represents the first well-known fossil evidence of oviraptorosaur dinosaurs in the United States. It lived in what is now North and South Dakota, and like others in the order Oviraptorosauria, it featured a prominent crest on its forehead, a specialized beak, and was likely covered in feathers. Anzu was large for an oviraptorosaur, measuring over 10 feet long.